The 7-inch Rear View Mirror is meant to be clipped over your existing vehicle mirror, it features full color and is compatible with our auto night vision technology. Light Tint - This barely has a tint so you get a fully reflective surface and it still looks exactly like any other mirror. However, because of that reflection, it’s harder to see the LCD screen. When designing this mirror, we made sure that its frame is wide enough to cover any mirror vertically and horizontally this way it will look like it came stock with your vehicle. The backup mirror uses our exclusive industrial strength feather clips to snugly attach over your existing mirror so that it will never rattle no matter how rough the terrain, this makes it a very popular item among jeeps, vans, and trucks because it also frees up space on your dashboard. 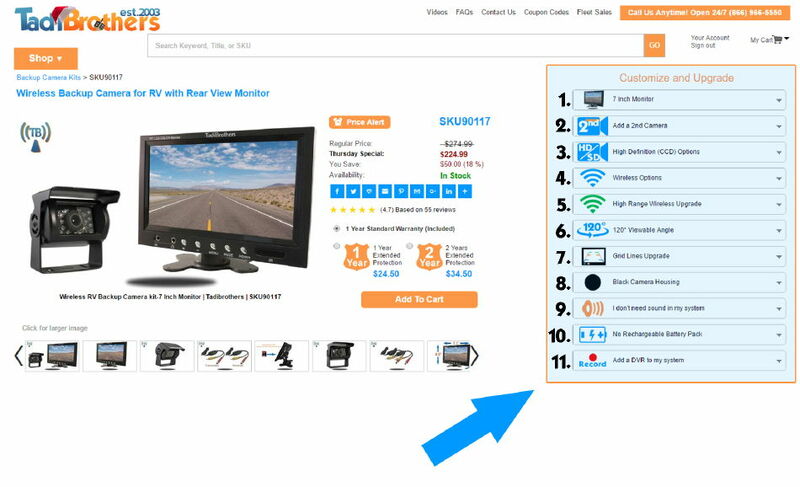 The monitor has 2 channels that have RCA inputs and can be toggled between them by either using the button on the screen or the included remote. 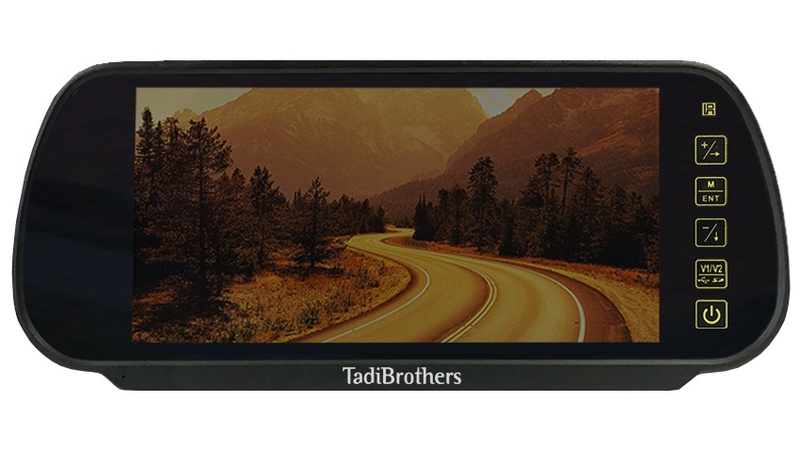 If you intend to use this screen while you’re driving down the road or changing lanes you can also use this backup mirror as an observation monitor. As for the brightness, this rear-view mirror will deliver a perfect image even in direct sunlight but will auto dim at night for a softer more comfortable view like most luxury mirrors. For those who don’t have an existing mirror, there is also a version of this that is a full replacement mirror which comes with the handle and all parts needed to attach the mirror to your dash window. Both can be done by using the menu on the top right of the page. The Bluetooth upgrade lets you use the speakers in the mirror as a Bluetooth speaker for your phone either to stream music or make and receive calls. You can also upgrade the mirror to our “Multi Media” version which will upgrade the screen to a touch screen that can watch a movie via SD card or a USB stick. The second upgrade will make the mirror 9-inch wide and will give an even bigger image to look at the is particularly popular with our school bus backup camera customers. This rear view mirror is compatible with all our non-digital camera, wired or wireless, you can make this a full system by adding 1 or to cameras by using the “Customize and Upgrade” menu at the top right of the page. where does the camera mount and how is it mounted? It depends on which camera you purchase. Bumper Camera mounts on the bumper, Box Camera can mount anywhere, and the License Camera mounts on the license plate.